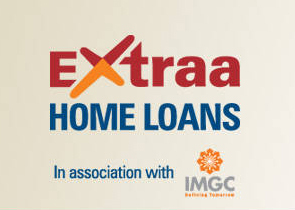 ICICI Bank has recently launched Mortgage Guarantee Extraa Home Loan. ICICI Bank Mortgage Guarantee home loan allows you to take an extra home loan by paying extra fees. This extra home loan borrowing is on the top of your eligibility limit. This will help you to increase your borrowing limit by 5-20%. This loan will also allow you to keep long tenure of the home loan up to 67 years. How ICICI Bank Mortgage Guarantee Extraa Home Loan Works? ICICI Bank Extra loan is available in three different variants. For Middle Age Salaried Customer – This loan is suitable for salaried borrower up to 48 years of age. Under regular home loan, tenure is up to retirement age generally 60 years. ICICI Extra home loans allow tenure up to 65 years of age. Mr.Suresh aged 45 years, currently live in rented house in Mumbai. His monthly gross salary is Rs. 60,000. He is aspiring to buy a 2 BHK flat worth Rs.60 Lakh. He applies for a home loan and get the sanction of 35 Lakh with tenure of 15 years with EMI of Rs 50,000. He still need extra money 25 lakh to buy him dream home. He is able to accumulate 20 lakh and running short of 5 lakh. This fee will be used to pay the insurance premium for extra loan amount. For Self Employed – This loan is available for a self-employed person who earns a higher income. Mr.Ramesh aged 40 years is running diamond business in Surat. He usually earns 80,000 Rs per month from the business. He is aspired to purchase a home worth 72 Lakh. He applies for a home loan and get the sanction of 48 Lakh with EMI of 52,000 Rs. He is able to accumulate 15 lakh and still need 9 lakh extra to purchase his dream home. He can get approval for an additional home loan. He needs to pay guaranteed fees to avail this benefit. For Young Age Salaried Customer – This home loan facility is available to salaried borrower up to 37 years of age. Repayment tenure can be extended up to 65 years of age. Mr.Rahul aged 32 years lives in banglore and aspired to buy flat of 45 Lakh. His gross salary is 45,000 Rs. He applies for a home loan and get the sanction of 25 Lakh with monthly EMI of 26,000 Rs. He is able to accumulate 15 lakh and running out of 5 lakh. EMI for the loan remains same. Loan Tenure is extended up to 30 years. He can repay loan up to 62 years. This Extraa Home Loan facility is available only in Mumbai, National Capital Region, Bangalore and Surat. Maximum Home loan amount permitted is 75 lakh. Should you go for ICICI Bank Mortgage Guarantee – Extraa Home Loan? As per me ICICI Bank Mortgage Guarantee – Extraa Home Loan should be last option for the home loan. Taking Extra loan means increasing the burden. If you calculate you are actually paying double the principal amount for the home loan. Increasing Loan Tenure beyond 60 years means making payment in retirement age. You may not afford to pay EMI in retirement age. Keeping EMI same means making extra payment for extra years why you should do that? Catch – Fees mentioned is 1.5% to 2.3% of Home loan amount. Ideally fees should be applicable only on extra home loan amount and not on the total home loan amount. I hope I have made my point clear about ICICI Bank Mortgage Guarantee – Extraa Home Loan.